Views, anyone? Lovely 2 ac lot sits atop the mountain gaining stunning 360 degree views. Stone and log siding ext with copper roof wrap this amazing home in warmth. Details beautifully completed in this fully renovated home (2015). Gorgeous hickory flooring and master craftsman interior doors. 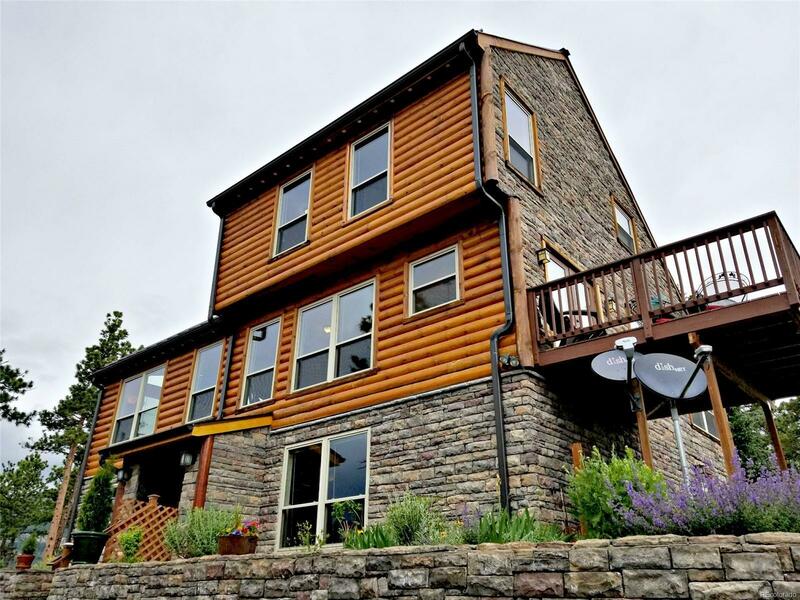 Living room boasts vaulted ceilings and incredible mtn and valley views thru oversized windows. Wood-burning stove keeps the home toasty. Beautiful frameless cherry kitchen cabinets flank new appliances, granite counters and beautiful stone tile backsplash. The master suite includes dual sinks, garden tub and extra large shower, all privately enclosed with barn-style door. Lower level finished with workout room, living area and two generous bedrooms with Santa Fe-style closet doors. Everything is new: electric, heating, windows, plumbing. In Winter, enjoy the hot tub and views; in Summer you'll love entertaining on the decks and in the manicured and landscaped yard complete with water feature.